What a great home, I can't say it loudly enough! Centrally located, move-in ready, and lots of future potential, this is the best home in Norwalk under $400,000! The home on 9 Beau Street really stands out, with well-maintained exterior, including a first view of the newer steps and railings completed in 2016. The 2 car garage stands out, and what is a flat lot when you get to the top of the hill. Everything is otherwise pristine, including a 2 year old roof, solar panels which can supplement your electric bill, and siding in great shape. Inside the front door and up the stairs in the foyer, we arrive at a large living room, kitchen, and dining room space, indicative of raised ranched. 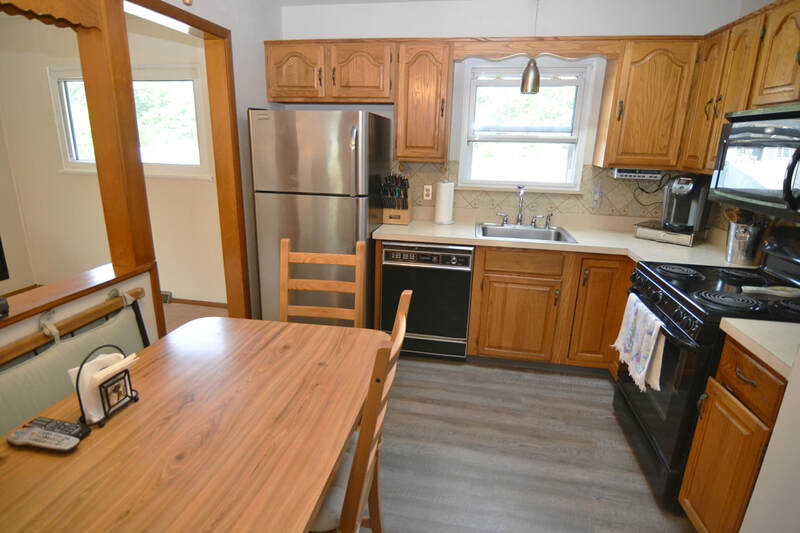 The kitchen has some newer appliances, and all the windows are updated. The fridge is stainless steel. There is a cut out that looks into the living room, and a table that fits comfortably in the corner. Not that it is needed, there is a skylight in the kitchen making this space even more inviting! There is new carpet in the living and dining rooms that can be removed to expose hardwood floors that is likely immaculate (but who knows until you try!). With plenty of light from the windows, and more space than you can imagine, this just needs someone to move right in. Down the hallway we go, into the full bathroom, and three large bedrooms. For a modest-sized home, each bedroom has quite a bit of space. Two of the three bedrooms could fit a king comfortably. All the rooms also have carpet that is hiding hardwood floors -- potential, potential! 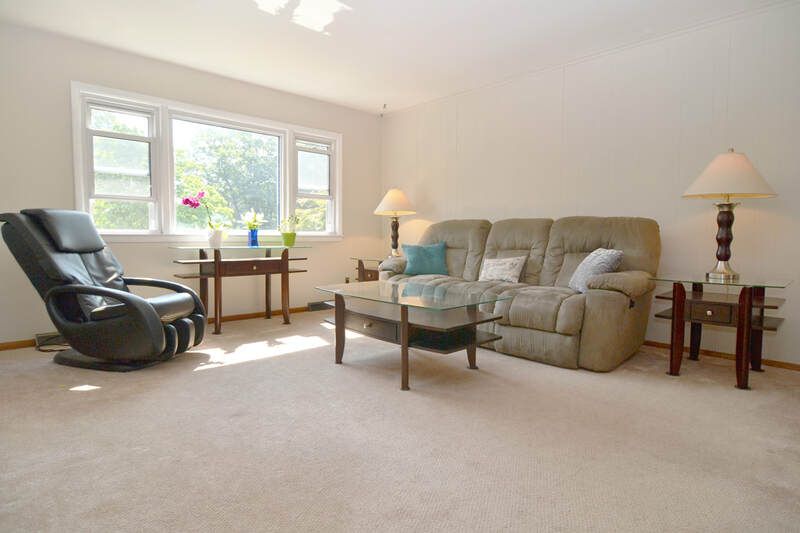 In the basement, there is a large den/family room, that has a half bath and a laundry room. The laundry room also has a door to the back yard, supplementing the slider door from the family room space. This whole large space comes with a wall unit for air conditioning, and lots of room for anything your heart desires. There are also a few closets and built-ins that make this space more functional. Of course, there is also access to the two car garage. 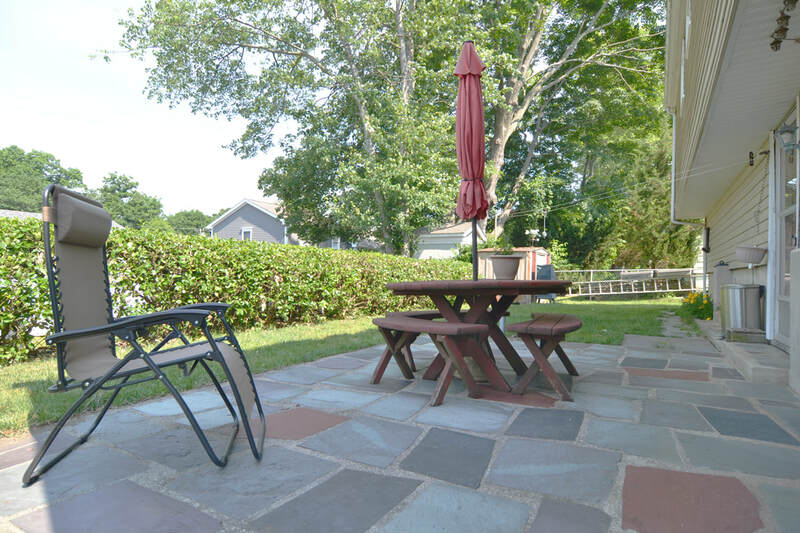 The back yard is flat and not huge, but has a really nice patio and space for throwing the ball, or enjoying lawn games during those Saturday and Sunday barbecues at your home! Despite the opportunity to make updates, the sellers have taken care of much of what needed to be done. The roof and solar panels (Solar City) are only two years old; the front steps and railing are two years old; The kitchen floor is new; The furnace is only five years old; The windows are all double pane, and newer. There is also an attic that has flooring for storage, low-maintenance vinyl siding, and mature plantings throughout the yard and space. 9 Beau Street really shines in this market devoid of quality homes. Under $400,000, this raised ranch had all of the under-the-hood updates taken care of by the owners. Otherwise, there are hidden secrets that result in plenty of inexpensive potential for a future buyer, such as hardwood floors covered by carpet, and expansion of the kitchen.